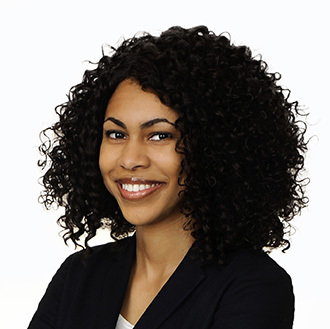 Shannen Garrett's practice focuses on traditional labor and employment litigation. She regularly investigates pre-litigation claims of discrimination, harassment, wage and hour violations, and family and medical leave violations. She also provides guidance to companies regarding sexual harassment training programs and employee handbook policies. Prior to joining FordHarrison, Shannen was as an associate for a Los Angeles based employment, corporate, and criminal defense firm where she managed a large caseload and served as second chair in trial. As a student in Loyola Law School’s Evening Program, Shannen gained extensive experience by working as a law clerk for three years in the Labor and Employment division of a general practice firm in Downtown Los Angeles. In this role, she drafted motions and pleadings and assisted in trial preparation. Shannen also served as a mentor to local high school students through Loyola’s award-winning Judge Stephen O’Neil Trial Advocacy Mentoring Program. Shannen also completed Loyola’s Youth Justice Education Clinic where she advocated for the educational rights of low-income students. Shannen is a member of the Advisory Board for COLORS, a non-profit LGBTQ youth counseling center. As the Outreach Chair, Shannen helps to raise awareness for the organization by obtaining donations and hosting fundraising events.